Accra, Jan. 21, GNA - Nana Addo Dankwa Akufo-Addo, Minister-Designate for the Ministry of Foreign Affairs, on Friday said his focus for the next four years was certainly not on trying to become the next President in 2008. He said he was focusing on giving meaning to the Government's "Positive Change Chapter Two" programme aimed at rapid national development. Nana Akufo-Addo was reacting to a question from a Member of the Appointments Committee of Parliament. He said no Member of President John Agyekum Kufuor's Government with presidential ambitions could succeed if the Government failed to deliver on its promises during its second term. Dr Benjamin Kumbour, a Member of the Committee, had sought to find out if rumours of Nana Akuofo-Addo's Presidential ambitions would not get in the way of duty when appointed Minister of Foreign Affairs. The Minister-designate said his main preoccupation was how to deliver on the Government's Foreign Policies. Nana Akufo-Addo said as part of its policies, Ghana was committed to promoting good neighbourliness with her immediate neighbours. He said the Government had a clear cut Foreign Policy and was also committed to playing a meaningful role in regional integration, security and peace both at the ECOWAS and African Union levels as well as in getting involved with the goals of the United Nations. 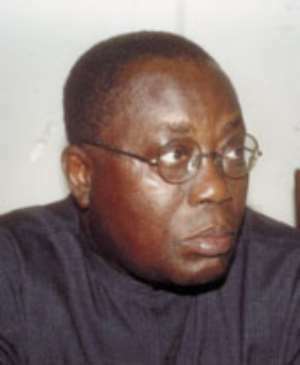 Nana Akufo-Addo was reacting to a question from Mr Yaw Baah, NPP-Kumawu and a Member of the Appointments Committee. The Foreign Minister-designate said the Government was committed to good governance and economic development and was going to continue using its diplomatic missions to source for investments for the country and to promote favourable economic relations with other countries. In answer to the success or failure of the New Partnership for Africa's Development (NEPAD), he said projects under the continental initiative had to be reduced into items that could be realised in practical terms. On the Ivorian crisis, Nana Akufo-Addo said there was nothing wrong for key figures to get involved in the crisis. He was answering a question from Mr John Mahama, NDC-Bole and Member of the Committee, as to why South African President Thabo Mbeki had to intervene in the Ivorian crisis and whether it was a pointer to inefficiency on the part of President John Agyekum Kufuor's Administration. He said President Kufuor at that time had to focus on the impending elections, which he won. On Ghana's positions on Palestine and Israel, he said Ghana was committed to seeing the two groups living side by side. On the condition of Ghanaian prisoners said to be languishing behind bars in Thailand, the Foreign Minster-designate said he had communicated with the country's mission there and promised to report back to Parliament on the issue when confirmed.